Midway through the new documentary Joffrey: Mavericks of American Dance, American Ballet Theatre artistic director Kevin McKenzie, who danced with the Joffrey from 1974 to 1978, says with barely concealed pique that the Joffrey was always considered the “current events company.” Indeed, the history of the Joffrey Ballet Company reads as a history of midcentury America; along with fine dancing, it’s what makes the company unique and this documentary engaging. 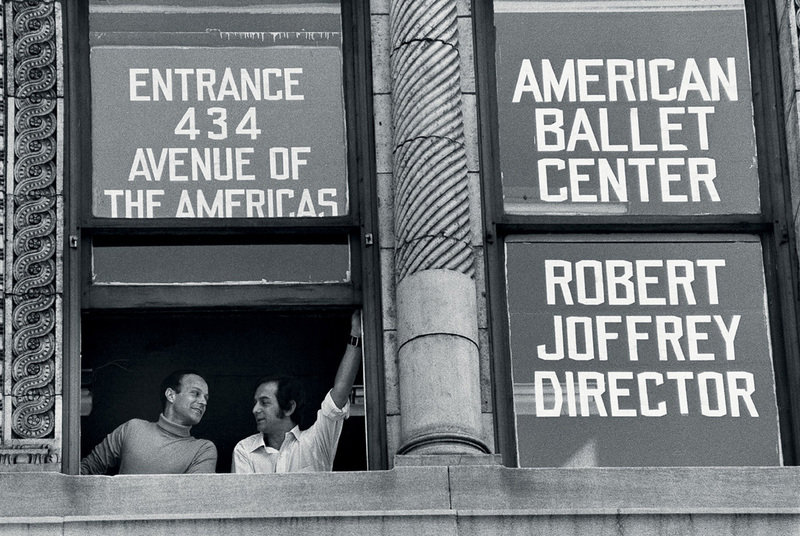 Gerald Arpino and Robert Joffrey at the American Ballet Center in the 1960s. Photo: Herbert Migdoll. McKenzie’s dismay is understandable. Wedged somewhere between Balanchine’s auteur-driven New York City Ballet and the traditional American Ballet Theatre, both geographically and in critics’ minds, the Joffrey was overshadowed by both. City Ballet and ABT hew to classicism (for all his innovations, Balanchine got no further from the academy than the prefix “neo”); their stock-in-trade is the aspiration to art rather than entertainment. 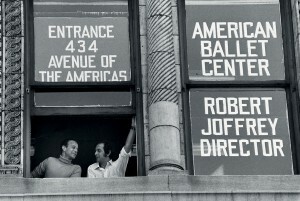 Robert Joffrey and Gerald Arpino, who co-founded the Joffrey in New York City in 1956, paid little heed to that distinction: channeling the zeitgeist, they made and commissioned dances that interpreted the culture outside the studio doors and in the headlines, works that alternately challenged, pleased, shocked or simply delighted. 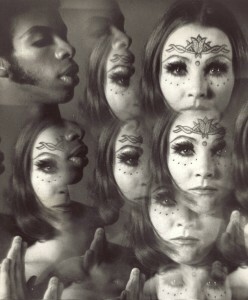 Radically groovy. Robert Joffrey’s “Astarte.” Photo: Herbert Migdoll. Some Joffrey/Arpino works were as classically derived as any Ashton piece. Other, Broadway-lite, pieces received audience cheers and critical jeers before quickly disappearing from the repertory. But there were also groundbreaking performances, like that, in 1967, of Kurt Jooss’s 1946 antiwar protest piece The Green Table – Joffrey was the first company to perform it in the United States as well as one of the few major American dance companies (if not the only one) to oppose the Vietnam War from the stage. And then there was Robert Joffrey’s 1968 masterpiece Astarte, an orgiastic fertility-goddess-meets-mortal-man free-love pas des deux, complete with acid-trip film projections, Trinette Singleton in a psychedelic unitard and Max Zomosa stripped to a loincloth. So radically timely was Astarte that it landed Singleton on the cover of Time magazine. Simply linkin one Joffrey high point to the next, without conveying the depth of feeling underlying each one, would be a monumental achievement in dot connection. But Joffrey is a compelling tale well told, blessed with emotionally generous characters and infused with joy, suspense, tragedy and redemption. 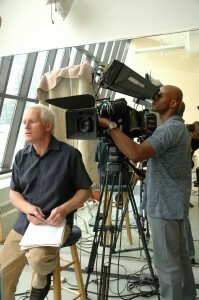 This is largely thanks to the storytelling expertise of the production team, led by writer/director Bob Hercules, who also directed the Bill T. Jones documentary A Good Man, and co-producer Harold Ramis, whose own artistic and exceptionally entertaining career includes Animal House, Ghostbusters and Groundhog Day. 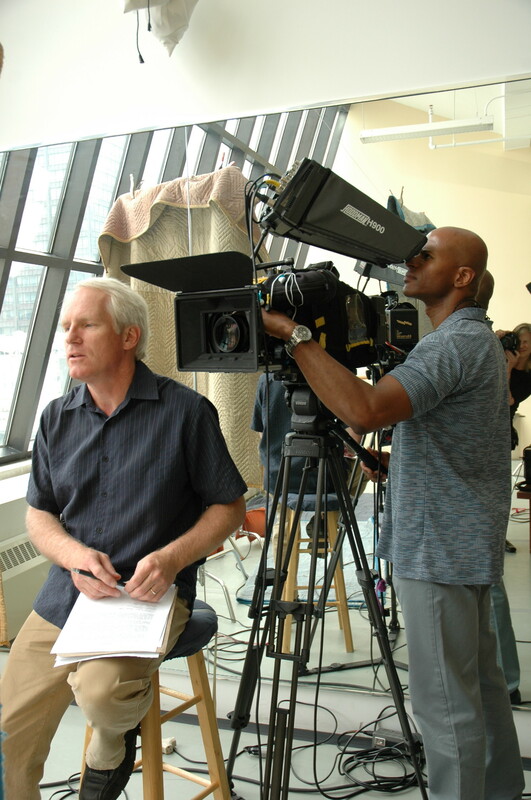 Director Bob Hercules on the set of “Joffrey: Mavericks of American Dance.” Photo: courtesy Media Process Group. Along with McKenzie, dancers, critics and collaborators like Helgi Tomasson, Lar Lubovitch, Jooss, Twyla Tharp, Anna Kisselgoff and Ashley Wheater, who is now the company’s artistic director, figure in the story via interviews, archival footage and countless photographs. Melissa Sterne deserves kudos for skillfully editing these many elements into a dynamic, yet never manic, collage. Mandy Patinkin lends fine narration. Dashed more than once on the rocks of poor leadership and worse finances, the Joffrey Ballet has righted itself time and again. The musician Prince once intervened with cash; a series of admittedly kitschy, crowd-pleasing shows rekindled audience interest in the 1980s; and a move to Chicago, in 1995, finally got the company out of the shadows and into its own limelight. After a generation of relative stability, a labor dispute in 2011 led to a dancer lockout and partial cancellation of that year’s season. But today’s Joffrey also has the financial strength to open and maintain its own building and, under Wheater’s able leadership, it continues to ride the currents. Joffrey: Mavericks of American Dance screens at the San Francisco Dance Film Festival on Sunday, March 18, at 6 p.m., and at the Balboa Theatre on Monday, March 19, at 7 p.m. It is being released nationwide throughout spring 2012, and on DVD and on-demand in June. Visit joffreymovie.com for details. Copyright (c) 2012 Claudia Bauer. All rights reserved.